De Tafelberg Guesthouse owes its name first and foremost to the magnificant mountain that so epitomise Cape Town and makes it one of the most beautiful cities in the world. The idea to start a small hotel here grew from a visit and consequent TV programme from a journalist Karl Symons, who flew in a dozen well-known Flemish personalities to the Cape to produce it. Karl, together with Ann and Kris Van Cappellen, a Flemish couple who had emigrated to the Cape a few years ago, along with some other Flemish people, decided to build a nest in the lap of Table Mountain. 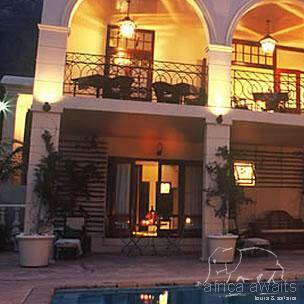 De Tafelberg Guesthouse is situated on the upper slopes of the world famous wonder of nature, Table Mountain, that gives Cape Town its unique character. From the guesthouse there are breathtaking views over the city bowl, the harbour, Table Mountain, Lion's Head and Signal Hill. 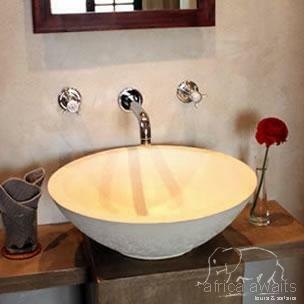 The well-situated villa offers a spacious feeling and is decorated in a contemporary style with an African touch. Ann and Kris are the perfect hosts, and the memories of an unforgettable breakfast, or that welcome drink at sunset, served on the superb terrace with stunning views over the city bowl and the pool, will remain with every guest forever. 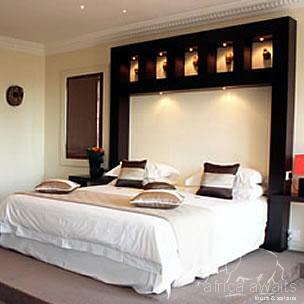 With your holiday, safari or business trip from in to De Tafelberg Guesthouse in Cape Town.